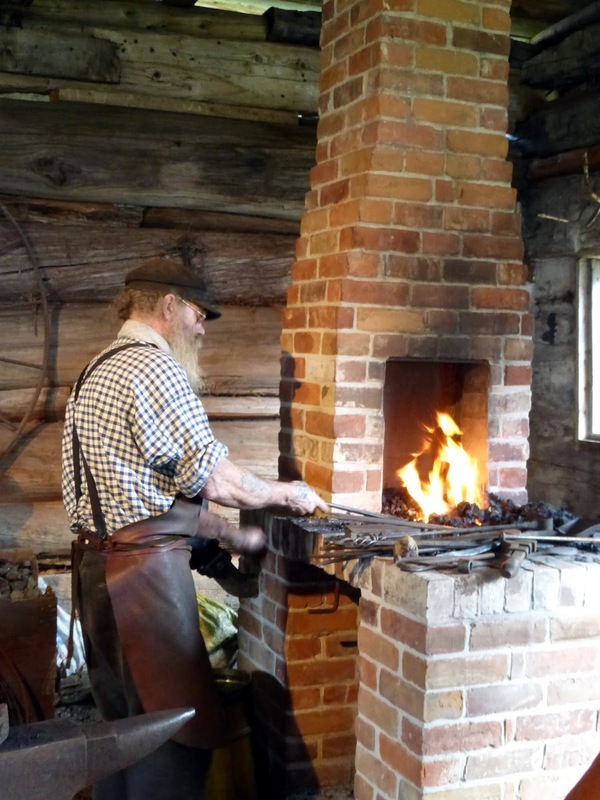 Every year, I go to the Annual Fall Festival at the Glengarry Pioneer Museum in Dunvegan, Ontario. So last Sunday (September 13), I kept up the tradition and went even though it had been a very rainy day. Despite the soggy weather I had fun! 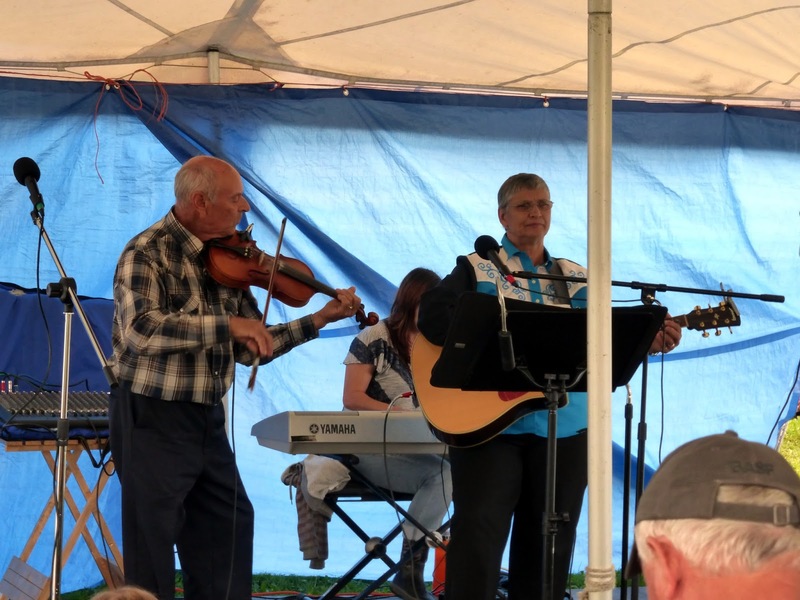 Lots of good food, music, animals, activities and people wearing pioneer costumes. I was taking a picture of the town crier when he came over and handed me his bell. 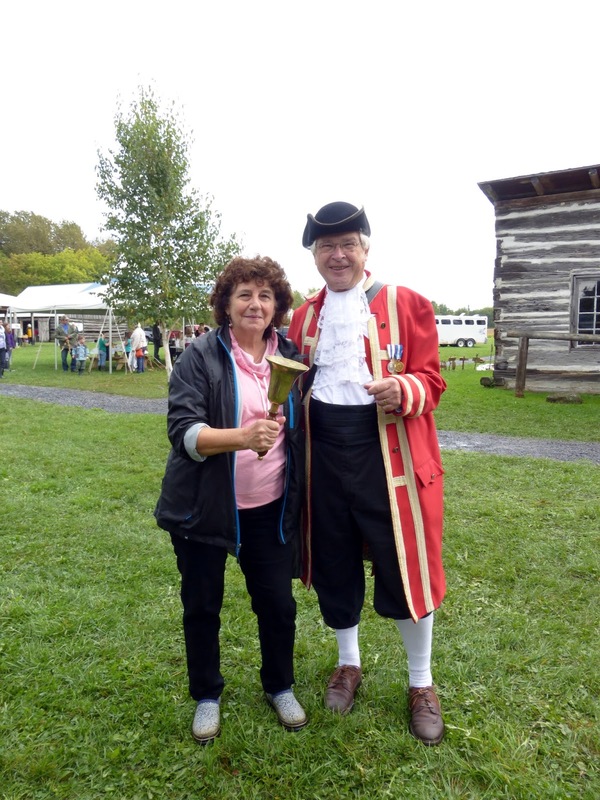 My friend Mac took a picture of the town crier and me, holding the bell (I didn't want to ring it because then people would think I had something to announce!). The music was appropriately down-home-y and old fashioned, like the music out of the movie "Oh Brother Where Art Thou". 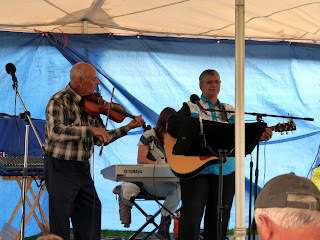 These guys were really good - playing banjo, mandolin and guitar. ...because there was sheep-sheering exhibition, and they were next. This guy was a pro at sheering sheep. 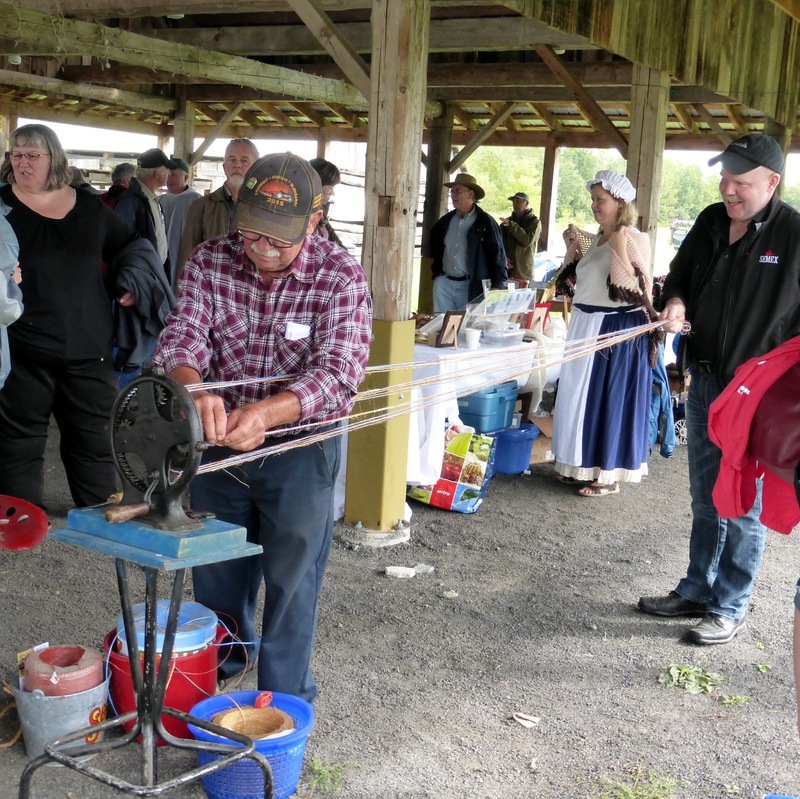 Nearby there was a man giving a demonstration on rope-making. He had a special machine to do this. It was fascinating to watch. There were a number of roosters in cages. I missed the rooster-crowing contest, but it was nice just to see the roosters in all their glory. 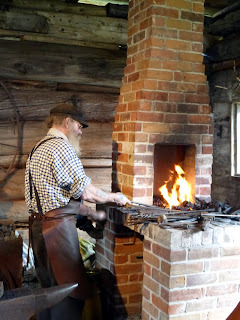 The blacksmith was hard at work at his forge. This was a very popular exhibition. And finally, there was more music. The fiddler was dynamite. Altogether, a fun day and worth slogging through a few puddles to enjoy. Great pics! Looks like a fun day. I found some images on google from the glengarry wood fair. I am part of the committee and run the social media pages. Would it be possible to use some of your images on our sites?